Represent your team using our custom iron-ons. 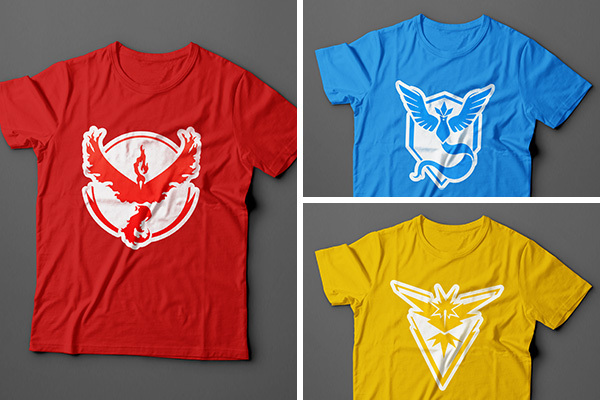 Whether you’re Mystic, Valor, or even Instinct you can create your own custom images and iron-ons to put onto any t-shirt! 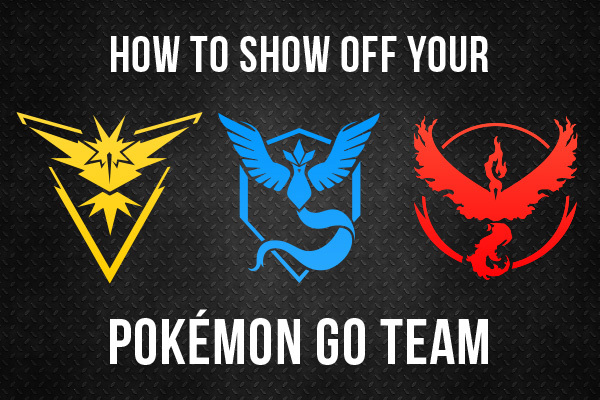 This can be a great conversation starter when battling gyms, attending meet ups, or when you’re just out and about catching Pokemon! 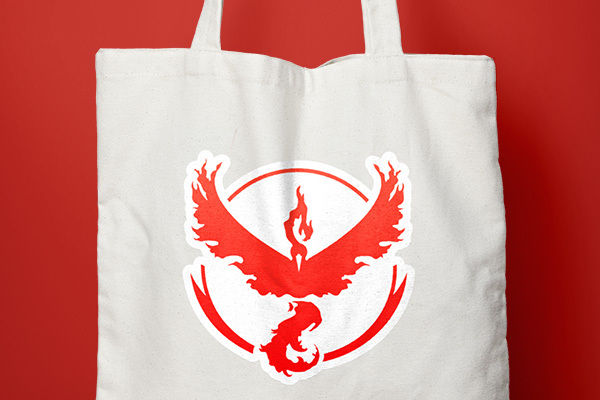 Our iron-ons also work on tote bags, so you can create custom bags to bring around! Just make sure the tote you’re using has a smooth surface that you can iron with full heat. At StickerYou, we have no minimums when it comes to printing stickers. This allows you to print any quantity of custom stickers you’d like. Why not hand out some stickers to your other teammates, or stickerbomb the city to show off your team (we won’t tell, promise)! Temporary tattoos are easy to make, easy to apply, and are a super fun addition to any Pokémon celebration/event, or maybe even a Pokémon themed birthday party! 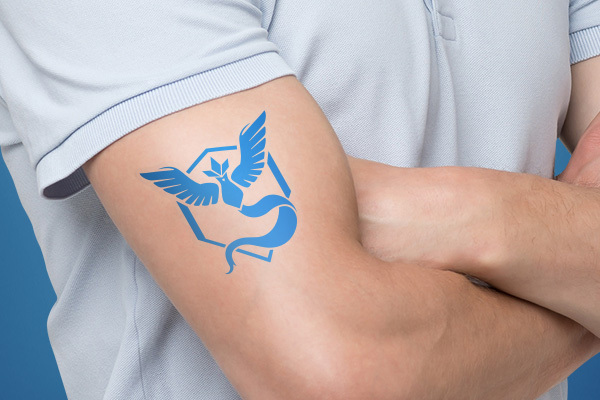 Our temporary tattoos last for several days, and can be a great way to show off your favorite Pokémon team and inspire some friendly competition. 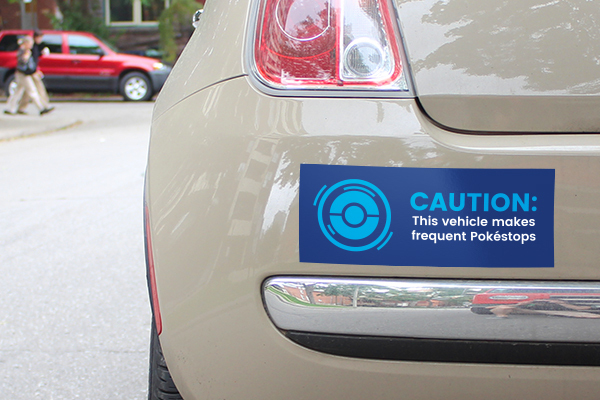 Bumper stickers are great for promoting things and attracting attention. Whether it be a graphic, team logo, or funny quote, bumper stickers are sure to draw eyes and add a flare to your vehicle. 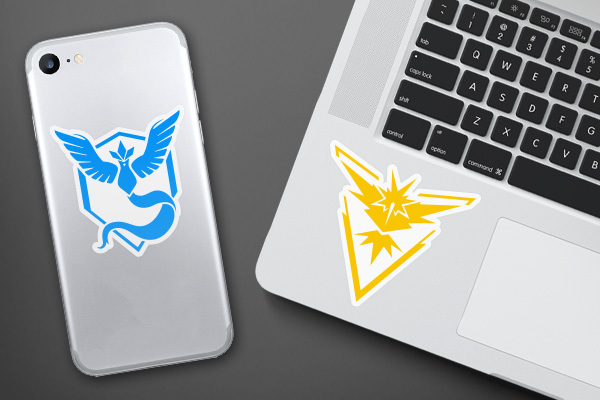 Upload any logo to create your own custom stickers using our Sticker Editor! Get other great ideas, inspiration, and sweet deals delivered right to your inbox by signing up for our newsletter here.